The Party Scene It is Christmas Eve at the Stahlbaum house. Herr Stahlbaum and his wife are having a party for their friends and family. Their children, Fritz and Clara are dressed in their Christmas best and are dancing with the guests. Drosselmeyer, the children’s godfather, arrives. 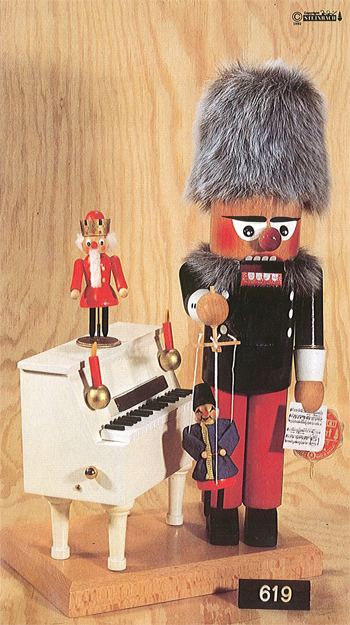 He is a well-known toy maker and gives the children each a gift. 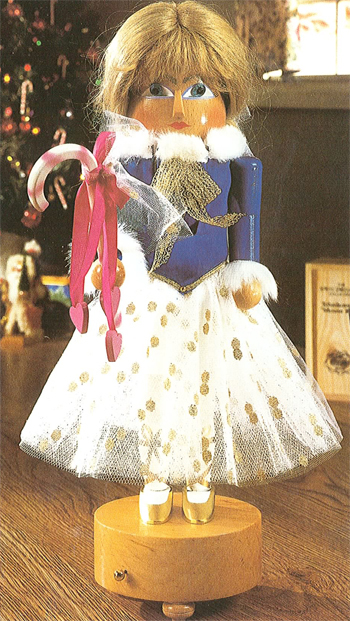 Drosselmeyer gives Clara a beautiful Nutcracker, which she adores. 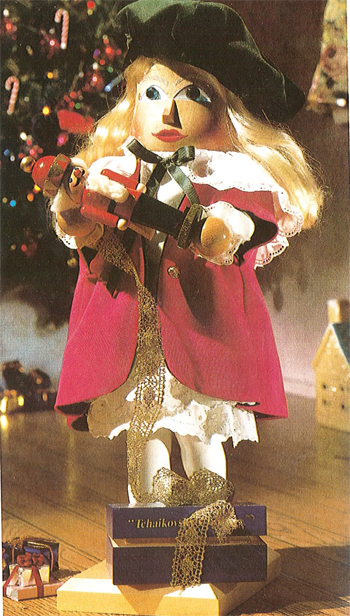 Fritz becomes jealous of her gift and grabs the Nutcracker away from Clara and breaks it Clara is left heartbroken. 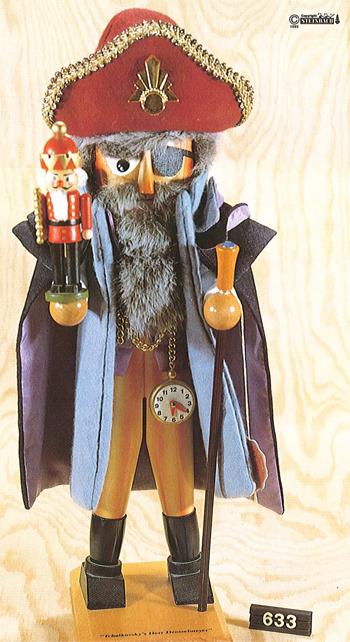 Drosselmeyer tries to fix the poor Nutcracker with a handkerchief but is unable. The evening grows late and the Stahlbaum’s say goodnight to their guests and go to bed. 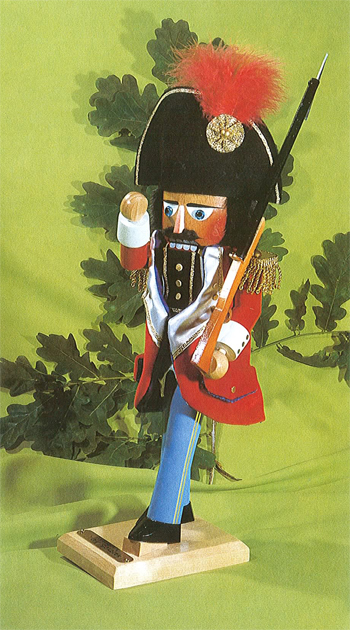 Clara tries to sleep but is unable so she sneaks downstairs to return to her Nutcracker. She falls asleep under the Christmas tree holding the Nutcracker. The Fight Scene As the clock strikes midnight Clara awakens to find she has shrunken down to the size of a toy. She is startled to see mice appearing from all corners of the living room. All of a sudden all of the toys around her come to life. 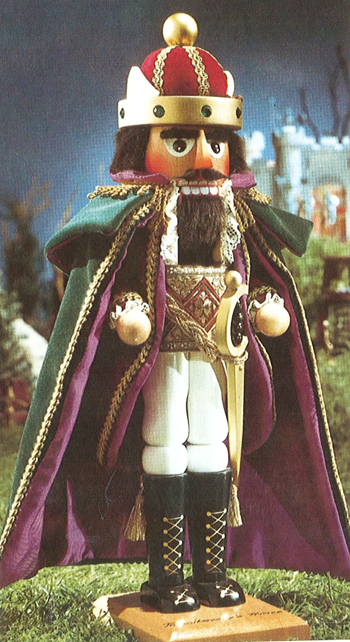 Clara’s Nutcracker also comes to life as a prince and leads his army of toys into battle against the evil Mouse King and his troops of mice. 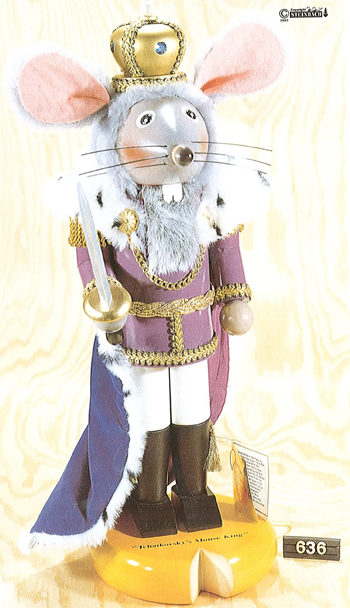 The Mouse King corners the Nutcracker and the two fight one-on-one. The Nutcracker sadly is no match for the Mouse King, as his soldiers can no longer hold off the mouse army. The Mouse King captures the Nutcracker and his army. Clara decides to make a daring move, to save her precious Nutcracker and throws her slipper at the Mouse King, which hits him square in the forehead. The Mouse King drops to the floor and the mice retreat and carry away their fallen leader. The Nutcracker turns into a prince and invites Clara to accompany him to the Kingdom of Sweets, where she will be taken meet the Sugar Plum Fairy. The Land of Sweets While on their journey Clara and the Nutcracker walk through an enchanted forest. All around them are dancing snowflakes. When they arrive at the castle Clara and the Nutcracker prince are received in the great hall of the Sugar Plum Fairy. The prince tells the kingdom of how Clara saved his life and defeated the Mouse King the entire kingdom greets her with acclaim. The Sugar Plum Fairy escorts the Nutcracker prince and Clara to thrones to view a presentation that has been prepared in their honor. The people in the Kingdom of Sweets entertain them with dances of the Dew Drop Fairy. The Spanish dancers, represented by Chocolate, the Chinese dances, represented by Tea, the Arabian dancers, represented by Coffee and the Russian dancers represented by candy canes all dance. After they perform Mother Ginger and her Polichinelles represented by Bonbons and the Reed Flutes, represented by Marzipan all dance the Mirliton dance. Last to perform is the Sugar Plum Fairy with the Waltz of the Flowers. At the end of the performances the Nutcracker prince and Clara ride off in a sleigh pulled by reindeer.